If the figures are to be believed, up to 4 million people have been abducted by aliens in the US, with many millions more captured world wide. Although the existence of human hungry aliens might be impossible to disprove per se, it is unlikely that extra-terrestrials could manage such mass kidnappings without being commonly noticed. This suggests that there are many people who falsely believe they have been seized by creatures from outer-space, perhaps after experiencing unusual and bizarre phenomena. The purpose of this article is to communicate some of the recent research in psychology and neuroscience that gives us some clues as to how and why these experiences and beliefs occur. Some of the many thousands of people who claim to have been abducted are likely to be fortune seekers, bar-room braggers, publicity hounds and maybe even some genuine abductees. Yet with the high numbers of people reporting abductions, many of the people who believe they have been captured will likely have been mistaken. Awareness during sleep paralysis is a common explanation for this confusion, most probably as abduction experiences and conscious sleep paralysis attacks often share many of the same features, such as waking whilst unable to move, feelings of fear, dread or unease and a feeling of pressure on the body. Normal sleep paralysis happens when the body enters the REM stage of the sleep cycle. The brain stem blocks movement signals that would normally travel from the brain to the muscles, probably to stop us carrying out the movements we dream about doing. The frightening aspect of this occurs when a sleeper awakens, becomes conscious, but who’s movement control is not reinstated by the brain. This state can also be accompanied by what are known as ‘hypnopompic’ hallucinations which occur naturally to many people whilst awakening. These hallucinations can take the form of voices, lights, figures or any number of strange bodily sensations. It is little wonder that when combined with fearful paralysis such uncanny experiences might be interpreted as alien in origin. Another commonly cited source of internal spookiness are the temporal lobes of the brain. Electrical stimulation of the surface of the temporal lobes (usually done on an awake patient when they are undergoing brain surgery) can produce unusual auditory sensations. Similarly, Michael Persinger, a Canadian scientist, has produced strange sensations in his research participants by using magnets to influence temporal lobe function from outside the skull. Such sensations have included feelings of a ‘presence’, disorientation and fear. It would seem unlikely that a possible abductee would fail to notice if someone placed large magnets near his or her head (or even that they were subject to brain surgery !) before the ‘abduction’ experience. However, similar effects can be caused by epileptic or similar seizures in the temporal lobes. Many epilepsy sufferers who have temporal lobe seizures report mystical experiences, missing time, out of body feelings or even strange smells or ‘atmospheres’ prior to, during or after a seizure. It must be remembered that not all forms of epilepsy cause dramatic shaking of the body, and many simply result in brief lapses of consciousness or experiences such as those noted above. This leads us to wonder whether disturbances in the temporal lobes may also contribute to experiences which some people may interpret as an alien abduction. Surprisingly, overt mental illness may be one of the least likely explanations for abduction experiences. Research has previously suggested that alien contactees are no more likely to show signs of mental illness than the general population, a finding which has been backed up by several other studies. However, many features once thought present only in mental illness have now been discovered to be held by much of the population. If we look at the healthy population as a whole, these features seem to exist on a continuum with some people reporting anomalous thoughts and feelings or having certain traits more than others. In this vein, it seems people who report themselves as abductees are more likely to endorse unusual experiences, be creative and imaginative, have depressive ideas, be suspicious, have dissociative tendencies and to have suffered childhood trauma. So whilst it seems unlikely that the bizarre experiences reported by most ‘abductees’ stem from severe mental illness (which can produce equally bizarre and seemingly real experiences) it is certainly the case that this group has characteristics that differentiate them from the general population. It is possible that these dispositions may increase the tendency for them to explain an anomalous experience in terms of alien contact. Our memories are often infuriatingly fallible, leading us to forget information we want to remember, remember information we’d rather forget, or often confidently recall something that later turns out to be inaccurate. A recent study has investigated memory distortions in people claiming to have been subject to alien capture. Participants in the study were read several lists of similarly themed words then given tests of recall and recognition. The results of the study indicated that ‘abductees’ were able to remember words from the original list as well as ‘non-abductees’, but tended to show a higher rate of recall and recognition for words that were never actually read out in the first place. This suggests that the ‘abductees’ are more likely to misidentify the source of memories, perhaps suggesting that some elements of their abduction experience may have been culled from other sources such as the media or their own imagination. This effect may also work retrospectively, allowing people to co-opt previous memories to support an abduction account. An early memory study conducted by Frederic Bartlett demonstrated that we reconstruct memories as they are recalled to create a coherent story. This reconstruction takes place using cultural references that give us a frame on which to hang the various remembered experiences. The alien abduction experience is well known to almost everyone, due to the popularity of shows such as the X-Files, and famous cases which have hit the headlines. This may give some people a cultural framework on which they can hang memories from a bizarre, unusual or traumatic experience. 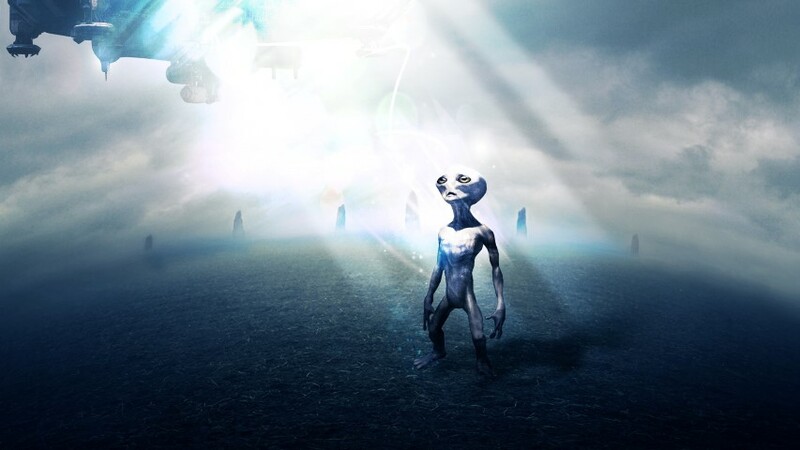 Unfortunately it is even the case that naïve or even unscrupulous therapists may push alien abduction as a explanation for a bizarre experience that a client may have undergone. Many examples of therapists willing to use hypnotic regression, a technique noted for its tendency to cause false recall, to recover abduction experiences can be found on the internet. Perhaps giving an off-the-shelf explanation for strange experiences that the brain is quite capable of generating, without the need for extra-terrestrial intervention. It would certainly be foolish to discount the possibility of anything unlikely, simply because of its improbability. Yet we must also remember that we can often find explanations for anomalous experience within ourselves. As the old doctor’s adage goes ‘When you hear hoof beats, start by thinking horses not zebras’. This would seem to work as well for zebras as it does for visitors from outer-space. This article is largely a summary of two recent scientific papers, both of which are well worth reading if you require further information, detailed references or simply enjoy interesting science. Abduction by Aliens or Sleep Paralysis?